We are San Diego’s NON-Alcoholic brewing company dedicated to providing the best organic products available. Kombucha is a fermented tea made from a Symbiotic Culture of Beneficial Bacteria and Yeast (SCOBBY). We use green tea, cane sugar, and two weeks time to ferment our kombucha. Kombucha is consumed for many health reasons. 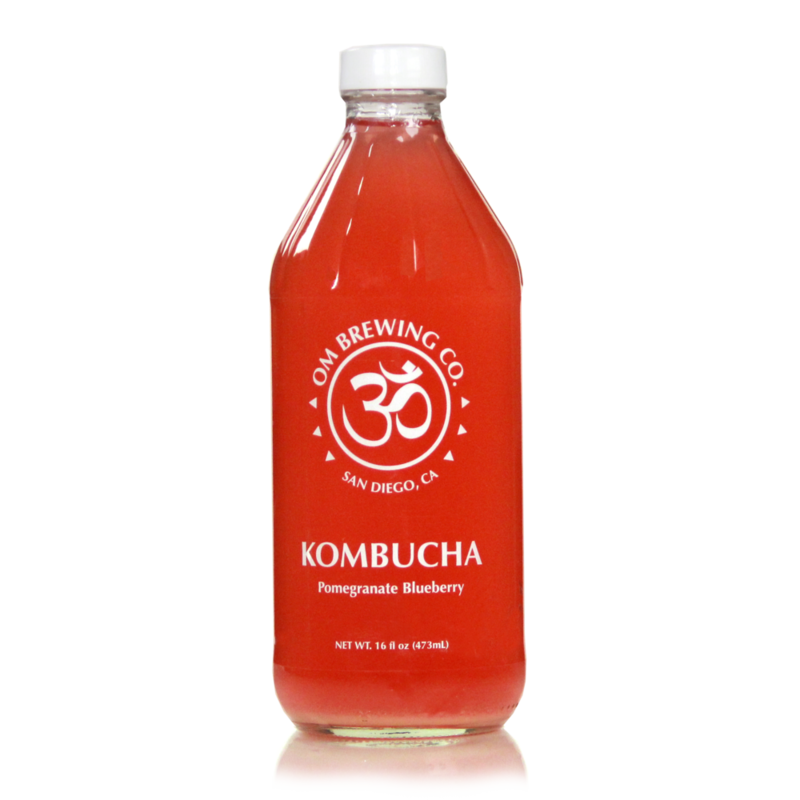 Some choose it as an alternative to syrup based carbonated beverages because of the natural effervescence in kombucha. Food Research International published a paper in 2000 on the health benefits of kombucha. In the journal, they highlight research conducted in Russia that indicates kombucha can improve resistance to cancer, prevent cardiovascular disease, promote digestive function, stimulate the immune system, reduce inflammation, and many other effects. Choose a plan that reflects your consumption. Wether you prefer a small amount for yourself or have a family with a lot of thirst to quench, we will make sure you never run out. Each month you can choose which flavors you would like delivered to your home or office. Leave your empty bottles for pick up on your next delivery. For the light consumer who likes to sip on their beverage a little at a time. Receive four 16 fl oz bottles or one 64 fl oz growler of your favorite flavor. For the moderate consumer who likes to have a little more in the fridge. Receive eight 16 fl oz bottles, two 64 fl oz growlers, or one 128 fl oz growler of your favorite flavors. Receive twelve 16 fl oz bottles, three 64 fl oz growlers, or one 64 fl oz and one 128 fl oz growler of your favorite flavors. Perfect for sharing with friends. Three sounds: “aaa”, “ouu”, “mmm”. Just like the color wheel having three primary colors that make up all light we see, these three sound make up all the sound we hear. In Eastern Philosophy it is a prefix or suffix to bring energy to a mantra. Mantras of good energy and devotion to the creator. Breathing and chanting OM has been proven to improve mental alertness, increase sensory perception, and benefit pulmonary function.